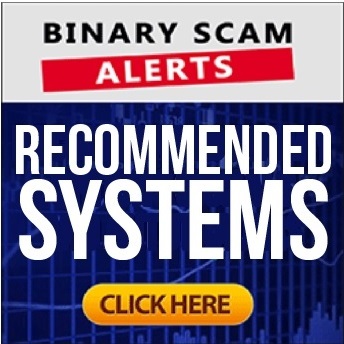 Binary Scam Alerts » MLM Scam Reviews » Duplicate Dave Review, Viral MLM SCAM Exposed Or Legit? Is the “Duplicate Dave” hands-free internet marketing business” by Dave Sharpe (AKA Legendary Marketer) is a SCAM? We conducted an extensive review and investigation and looked for proof of SCAM before deciding if it should be blacklisted or endorsed. Our findings led us to some very factual-based conclusions, and we understand why some people complained about Dave and how he chooses to present his internet marketing system. We are constantly scrounging the internet for legit or genuine opportunities to make an honest buck, however Duplicate Dave is a different story and for a variety of reasons may be construed and a possible MLM SCAM. The people at the top of this pyramid are seasoned affiliate marketers specializing in social media, virtual blogging, email marketing, and media buying. They are compensated according to the number of paying customers they generate (that’s you). As long as you pay they are supposed to get a certain percentage of your investment (in some cases as much as 60% revenue share). Keeping in mind we are talking about a monthly fee of $20 and various promotional up sells like access to webinars and training material, this could definitely add up. However, if you are not a part of their closed group or alternatively have an extensive experience in online marketing you may want to consider your options or alternatively look at this little adventure as a kind of marketing school where you learn the tricks of the trade, but don’t really expect to make any money. This way if you are able to profit (which is somewhat possible) you would be pleasantly surprised, however if you lose your initial investment you would not feel disappointed or cheated out of your money. Duplicate Dave is a Multi Level Marketing scheme which is designed to attract new opportunity seekers looking to make money or generate profits consistently by starting their own home-based business. In a way it is very much similar to a pyramid scheme, only here there are actually a bit more people who profit at the end of the day. However, unless you are an extremely seasoned marketer with a large following or have a big marketing budget, in most cases you will end up losing money instead of profiting (again, there are some exceptions). “If your’e watching this video there’s a good chance that you got played!” Dave is using real life scenarios in order to make a point. For example, he is saying the government was supposed to take care of you, and going to school should have secured your future. All those promises that were made are very much worthless at this point and now you are in debt looking for a way out of your hole. Sharpe is actually criticizing the whole educational system and employment structure, and he’s right. These are all facts and we have all experienced them first hand. “Our society is systematically designed to keep you poor”, and we “all got screwed by the system”. 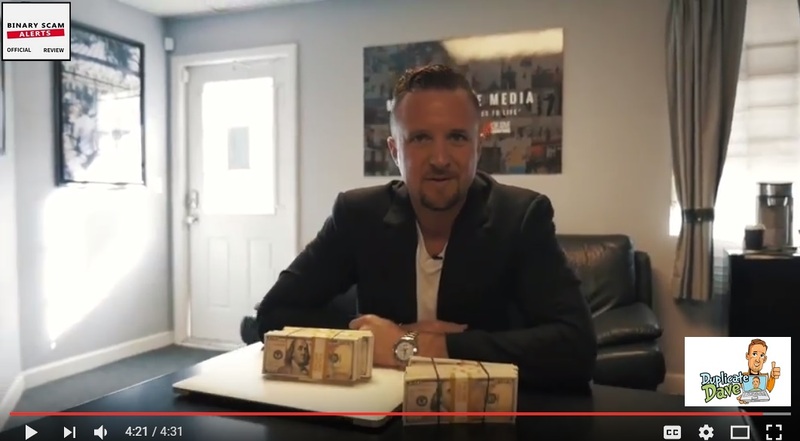 Dave claims his new program allows you to duplicated his new social media and internet marketing strategies while building a lifestyle that you love. Sharpe claims you can make between $2,000 – $20,000 per month using his tried and tested system. He claims other new products and marketing tools that have been recently launched and hit the market are not interesting or profitable for affiliates. But now “the king is back”, and that means “it’s time to go to the bank with your boy Dave”. This is not a get-rich-quick scheme! 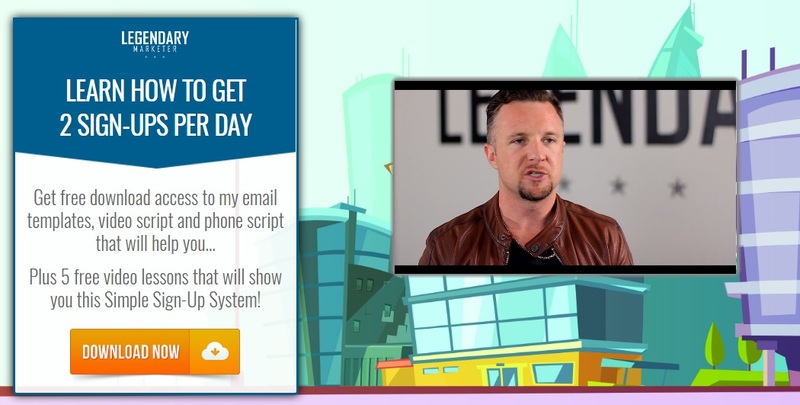 In fact it’s possible to make money using the Duplicate Dave system but only if you are an experienced internet or online marketer. The testimonials are real, but Sharpe has been able to get some really strong affiliate marketers to promote his products so they vouch for him and with good reason – they made a killing promoting his offers. We do see a lot of hype and very aggressive sales tactics, but the bank accounts are real and so are the figures. Modus Operandi – How Does Duplicate Dave Work? Strictly on the operational level you will be required to buy Facebook ads in order to generate leads. This is very obvious since and the clue is found on their main sales page. So, this is the scheme in a nutshell: You pay for the marketing fees, they collect the customers and sell them their schemes over and over again. Only here’s the trick, the way marketing works is not on the initial investment but on the up sells or cross-sells. So they will invite you to webinars and literally force you to buy into their advanced level marketing groups. These will be tiered or leveled offers, and “the more you spend the more chances you have of being successful”. So they make their money from YOU using a variety of aggressive sales and marketing tactics which not only shifts the advertising costs on you, but also uses you as their source of recurring cash stream to finance their operations and increase their profit margins (again, you are billed monthly). After you signup you get access to a site named Legendary Marketer where Sharpe speaks from the heart in a really convincing way and that’s the site where you get access to all his promotional tools such as video ads, image ads, email templates, and your affiliate links. It’s also where your commission structure is set and where you see how much earnings you can make. Is it Possible To Make Money With Duplicate Dave? The short answer is yes, its possible but only if you have your own audience or following. For example, if you have a large email list or many subscribers on your YouTube channel that are interested in these types of offers then you can make a profit if they signup and invest under you. If you are not an experienced marketer and don’t have access to an audience (AKA Traffic, Leads, Customers) then you risk ending up as a fish (metaphorically speaking) and Sharpe has a whole sales desk dedicated to up selling to novices so you will surely be offered additional products, or special access. Again, unless you are an online sales pro such as Stephen Munson, Nick Anderson, Holly Green, Adam Whiting, Chuck Marshall, Jermaine Steele, Rene’e Fouche’, or Kai Lo you will most likely end up losing your investment. Who Is David (Dave) Sharpe? The guy has an impressive resume and quite honestly he is very charismatic and looks good. On the business side I would not venture doing any kind of partnership with him since he does not come across as someone who does business on equal terms (in other words he’s a shark). He is also an ex-marine and an extremely seasoned marketer, he’s the Co-Founder of the Empower Network, which until recently was a huge project which attracted thousands of opportunity-seekers from across the globe. 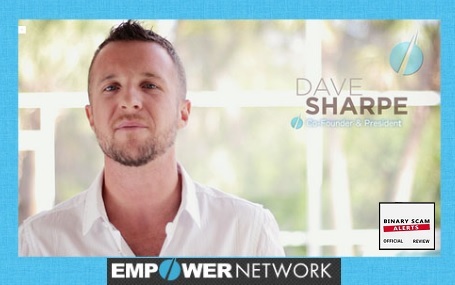 The Empower Network is basically dried up now since it passed its cycle of success and just fizzled out. Multi Level Marketing usually has a short life span since it is designed to attract as many members as possible but eventually as the base of the pyramid grows there will be more discontent members and then the reviews come out and what we witness is a reduced level of acquisition (no new members join the program) until it just dies out and becomes obsolete. It’s also worth mentioning that people are always looking for new things, so in theory Empower could simply be saturated and reached a certain level where it can only go downward. As mentioned previously, this is not a “done-for-you” internet marketing system! You have to join Dave Sharp and his trading program in order to succeed and that is a possible trap. The marketing material provided for you is limited to only the types of offers he approves, and there is a good and bad side to it. Obviously if you understand marketing you will want to build your own marketing tools and creative (which requires additional investment). If not you will use what everyone else is using and your results will reflect that. There has been much talk about Dave and Empower, so if you research things you will find all kinds of information pertaining to Sharpe’s character. The benefits are really there if you know what you are doing. If not, stay away and try taking a professional online marketing course from Wealthy Affiliate if you actually want to enter this niche. You can actually make large amounts of money but you need to be super aggressive and understand how the internet works and how to generate you own customers and loyal audience or followers. The “Duplicate Dave” hands-free internet marketing business by Dave Sharpe (AKA Legendary Marketer) is not an MLM SCAM (at least not in the traditional sense i.e. Ponzi, Financial, or Pyramid Scheme), so we chose not to blacklist it. There is however a lot of hype around this new product and we urge our members and viewers to use their common sense and proceed with caution. As always a hefty dose of skepticism and a grain of salt will go a long way in helping you in life. In a nutshell, unless you are a seasoned and professional internet marketer we believe you should look at Duplicate Dave as an educational process and a way to train yourself in the internet marketing niche, and not necessarily a way to generate passive income of any kind. We are not saying it’s not possible for novices to succeed, but the likelihood of this happening is quite low according to our opinion. As always, should you need more information join our Facebook group and Subscribe to our YouTube Channel and get informed.